Rumors and gossip immediately flooded social media after Lemonade’s release. Lyrics insinuating that Jay-Z cheated make up almost all of the first half of the album. Fans began to wonder if Hova cheated with designer, Rachel Roy, after hearing the lyrics: “He only want me when I’m not there. He better call Becky with the good hair.” Right after the release of Lemonade, Roy posted and deleted from Instagram the caption: “Good hair don’t care, but we will take good lighting, for selfies, or self truths, always. Live in the light #nodramaqueens.” This comment did not sit kindly with Beyoncé fans who immediately targeted Roy and her daughters with a slew of online abuse, prompting the designer to cancel public appearances, make her Instagram private, and release an official statement saying, “I want to put the speculation and rumors to rest. My Instagram post was meant to be fun and lighthearted, it was misunderstood as something other than that. There is no validity to the idea that the song references me personally. There is no truth to the rumors.” The second half of Lemonade leads listeners to believe that this “cheating” scandal, actually results in a happy ending with songs about forgiveness and hope. Closing scenes feature the singer and her husband together again. 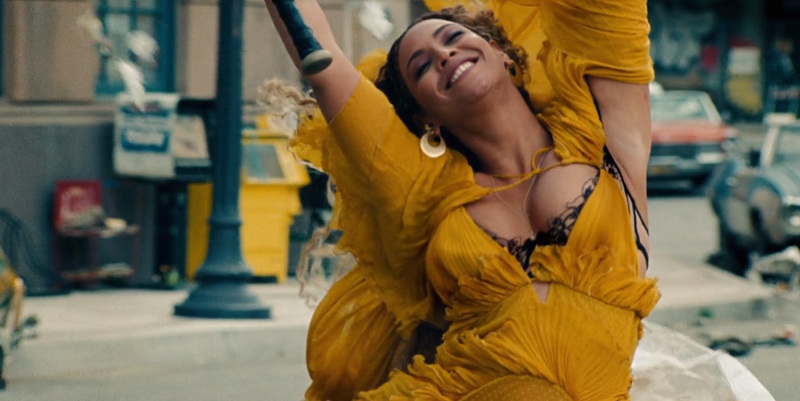 For the ending credits of Lemonade, Beyoncé uses her hit single, “Formation,” to pack one last punch. The song was released back in February when she performed it at the Super Bowl alongside Bruno Mars and Coldplay. The performance and subsequent music video have since gained a lot of attention from the media for portraying highly politicized messages. Although Beyonce usually remains mum in interviews, Lemonade continues what Beyonce started with “Formation,” showing that she stands strongly against brutality on the black community and is a champion for female empowerment. In one section of the visual album, the voice of Malcolm X is heard stating, “The most neglected person in America is the black woman” as images of powerful woman flash on the screen. In another segment, the mothers of the late Trayvon Martin and Michael Brown are featured holding their sons portraits in their laps, making it clear that although Lemonade addresses infidelity in marriage, there are other pressing issues on the mind of Mrs.Carter.